Come to watch and support the performers who, from 14th to 21st September 2017, will be displaying all their skills. 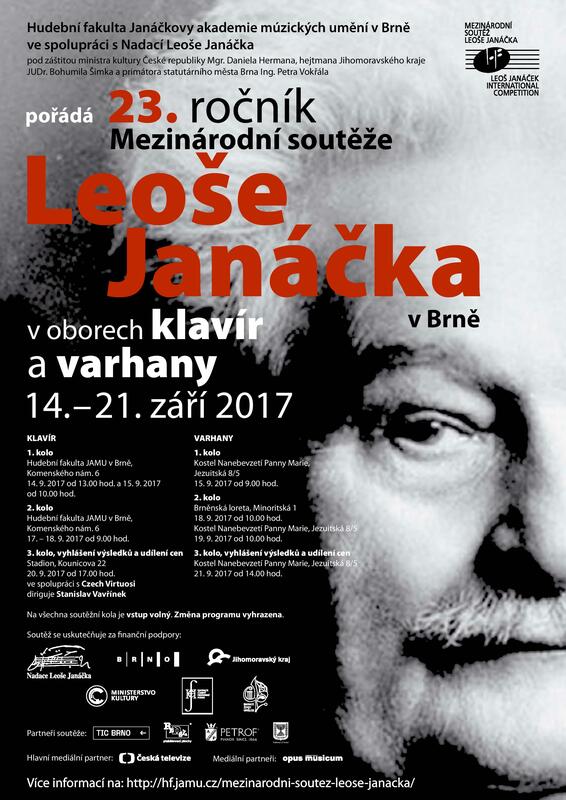 The International Leoš Janáček Competition has been held by the Janáček Academy of the Performing Arts in Brno since 1994. After a five-year wait, we can look forward once more to some music for piano and organ. This competition seeks out and presents new talents and, as its title suggests, is closely linked with the works of the world famous composer Leoš Janáček. PETROF is a partner of this event.